ANDREJ GRABOWSKI is a TV and talk show specialist. Home / Allgemein / ANDREJ GRABOWSKI is a TV and talk show specialist. He has worked for the news channels N24 and Deutsche Welle and been responsible for well-known German talk shows like „Friedman“ and „Absolute Mehrheit”, hosted by Stefan Raab, a well-known German TV personality. In 2013 he prepared the TV discussion between Chancellor Angela Merkel and her contender for the interviewers of the private TV channels. At N24, he was deputy editor in chief. For the public radio ARD, Andrej Grabowski was correspondent in Buenos Aires and East Germany. He also lectures at the German journalist college Akademie der Bayerischen Presse. MICHAEL ROSSIÉ is a vocal coach, actor and key-note speeker. 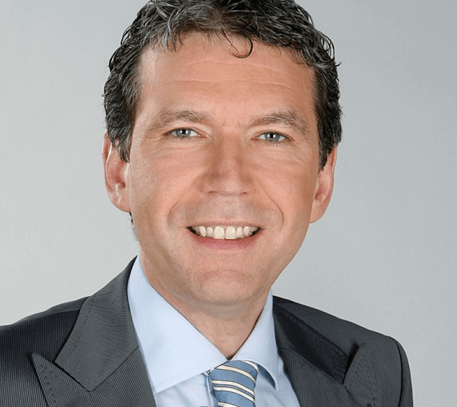 JOHANNES BÜCHS is a television presenter and media trainer.